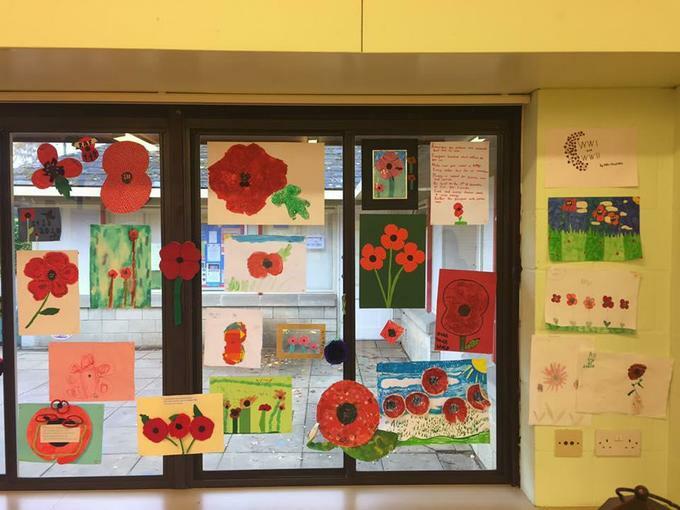 On 11th November 2018 it will be exactly 100 years since the end of World War 1 and the first Armistice Day. 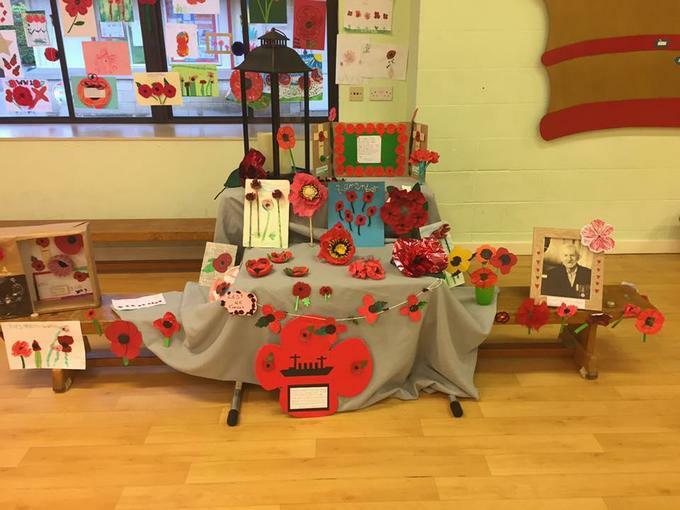 To mark the centenary, we held a short Remembrance Day service in school today. 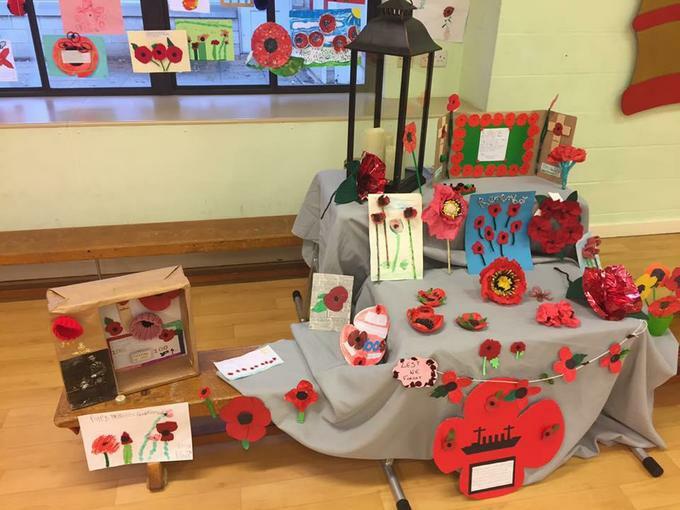 To help mark this event appropriately, pupils were set a half term Home Challenge to make a poppy, picture, poster or write / copy out and decorate a poem. 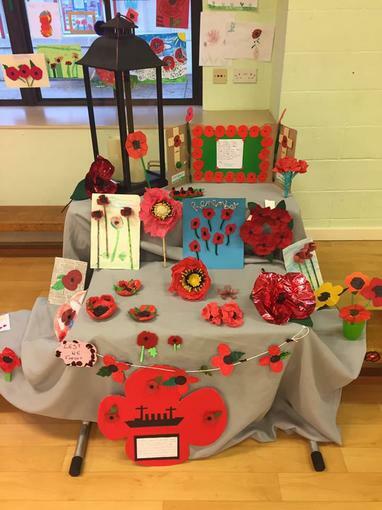 These could be presented however the children wanted, e.g. 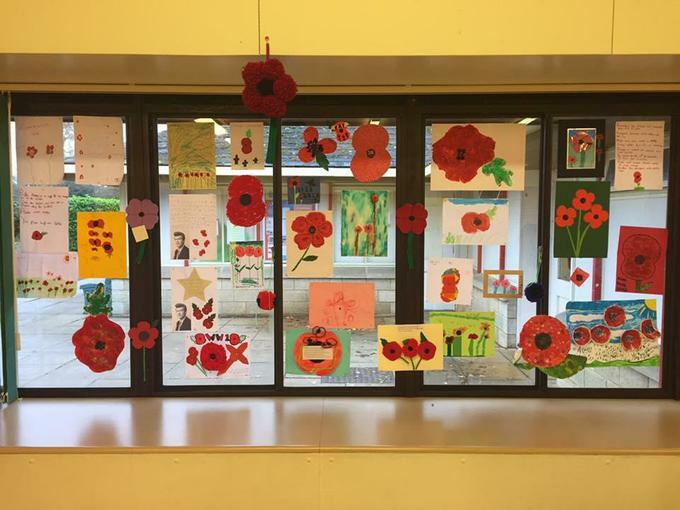 a knitted, painted or paper poppy; made of fabric or collage or Hama beads; large or small – the choice was theirs! We were inundated with creations. 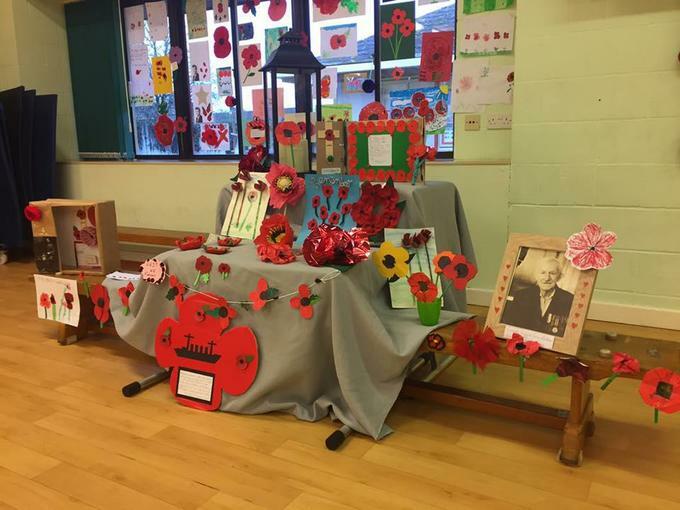 These were displayed and used to create a very special atmosphere for commemorating this special ‘Poppy’ day. Thank you to everyone who supported this commemoration.